← PowerShell, Make it do something useful! 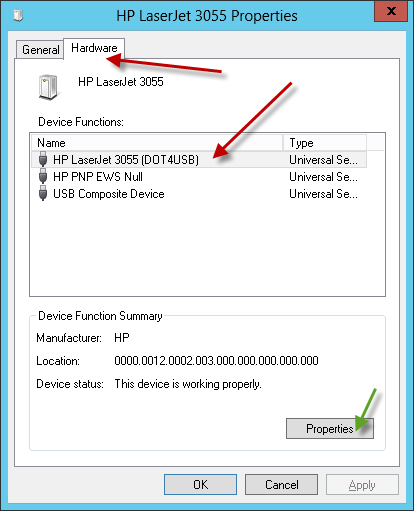 I recently did a post about adding a Printer to an Essentials server, i thought i had covered all the bases, however i have seen several questions pop up on the forum regarding HP Printers appearing as unspecified devices when connected via USB. 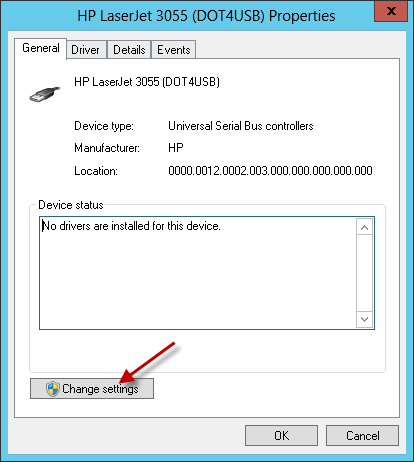 This presented me with a unique challenge as all my lab kit is on HyperV. 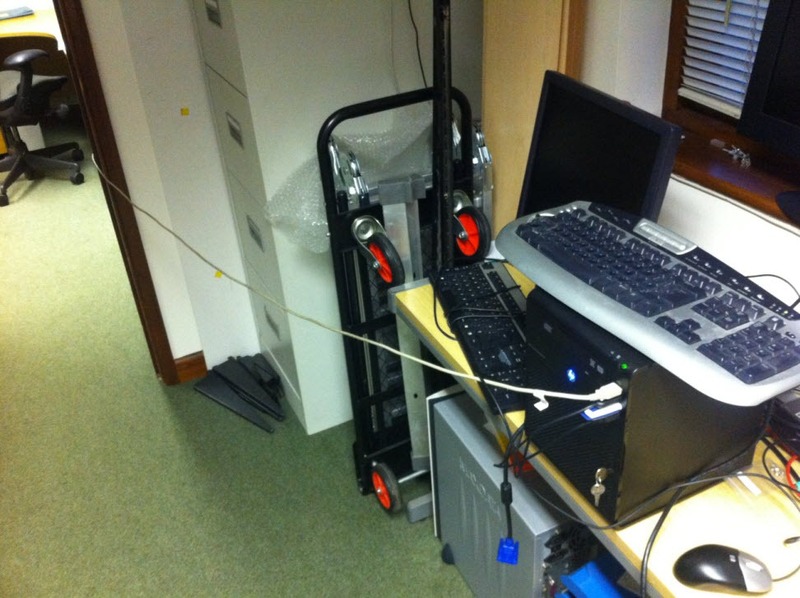 However i do have a USB HP printer in the office, so i hooked it up with a long USB lead to a MicroServer, and set about trying to repro the problem. Sure enough, i had the exact symptoms described here and here . The first link, helpfully told me a solution was available, but it still took me an hour to work out where to find the settings mentioned. So being me, i thought id screen shot and blog it. Firstly i downloaded and installed this. Once installed, i went to Control Panel and Hardware, Devices and Printers. 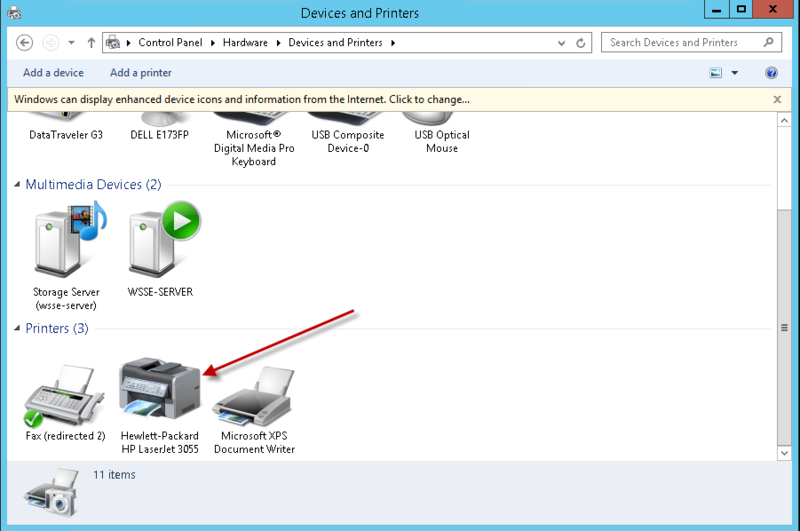 Inside Devices and Printers you can find your Printer. Right click the printer and go to properties. 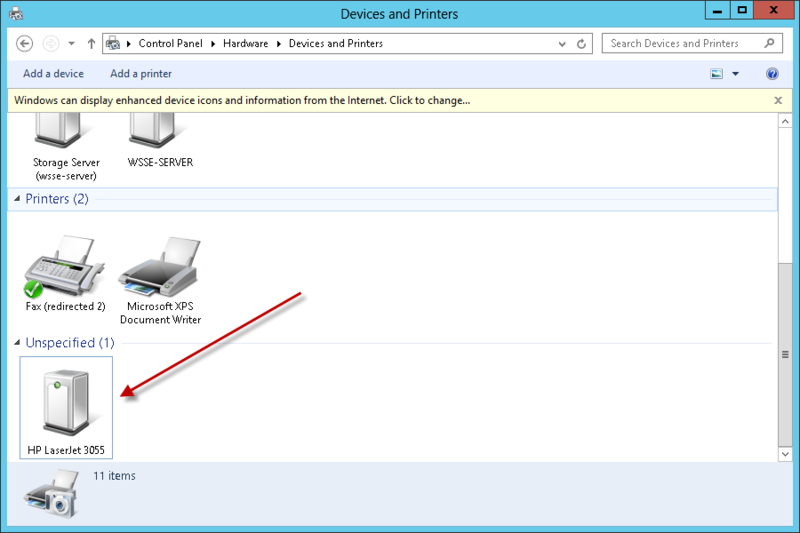 Switch to the hardware tab, select your printer, and go to properties. 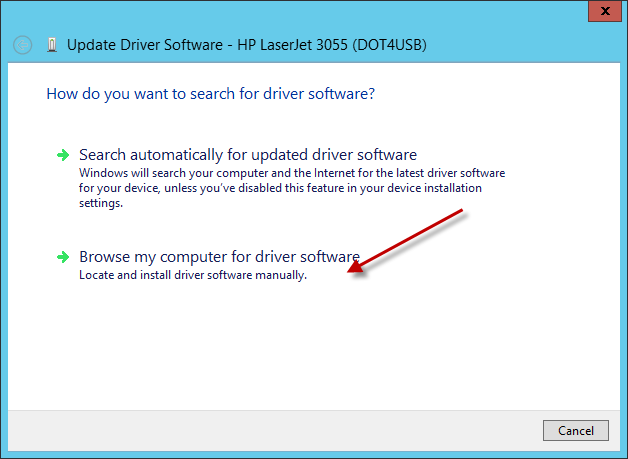 Go to the Driver tab and choose Update Driver. 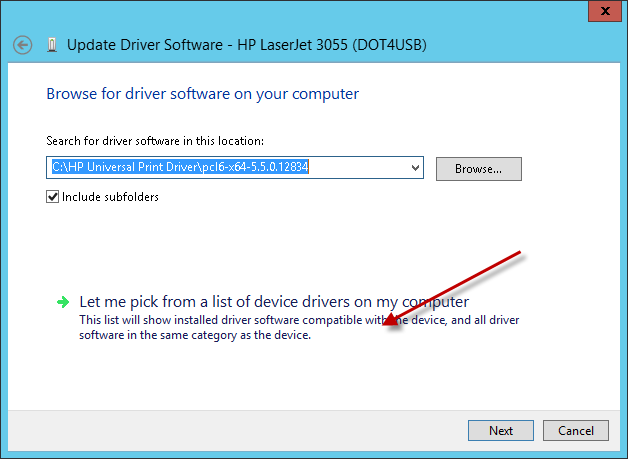 Choose to Browse for a driver. 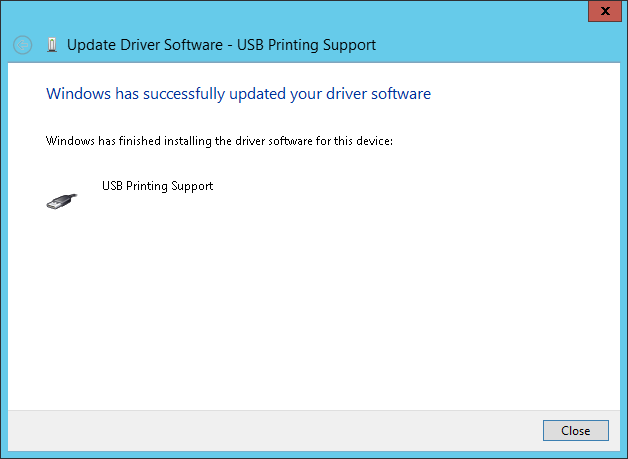 Choose, USB Printing Support and click Next. 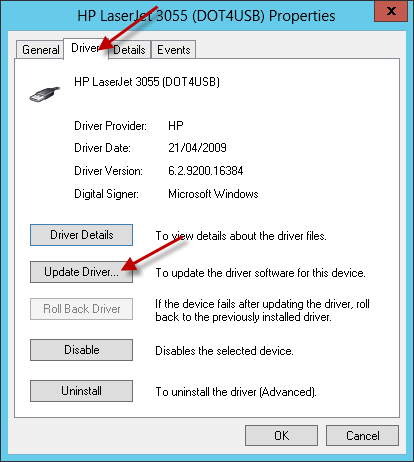 The Update Driver wizard will finish, and you should see your printer now appears correctly in the Devices and Printers folder. 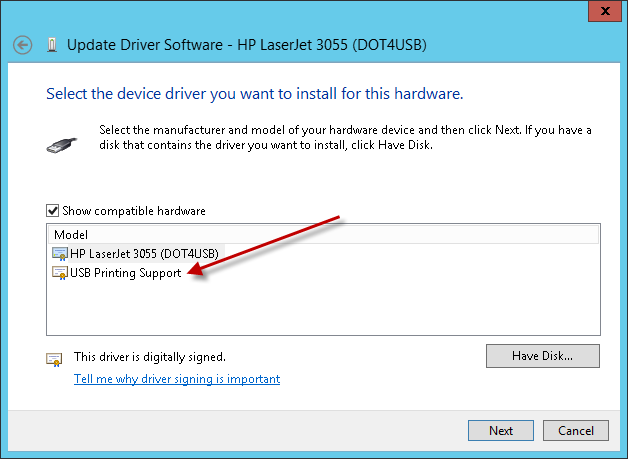 As in my other post about setting up a printer, i had to switch the detected driver over to the HP Universal Printer Driver before it would print. 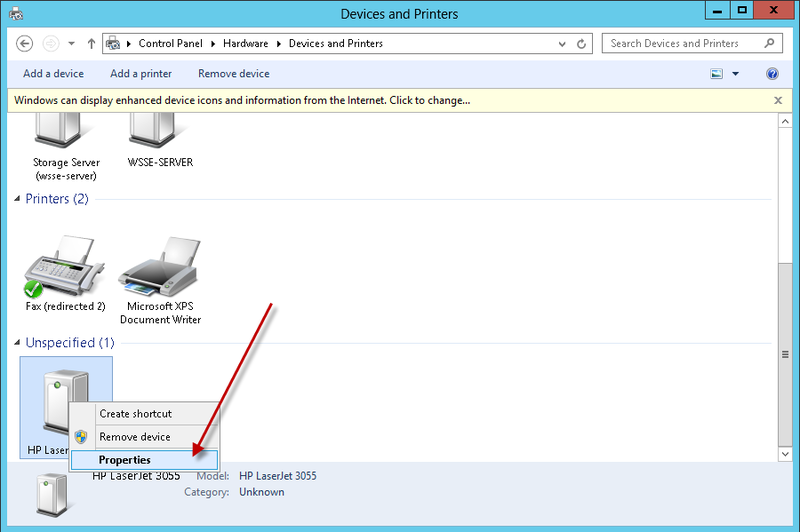 Thanks to Jetss_77 for his solution on the TechNet Forum which i have shamelessly copied. Thank you! I’ve spent hours trying to get this to work. This was perfect!